The freeware Deggendorf Airport 0.91b (EDMW) for X-Plane 10 is now available to download at X-Plane.org. The feelThere Boeing 737 Pilot in Command Evolution for FSX version 1.1 is now available at Wilco Publishing. Taburet has released Copenhagen Photorealistic for X-Plane 10. Now available to purchase at SimMarket. 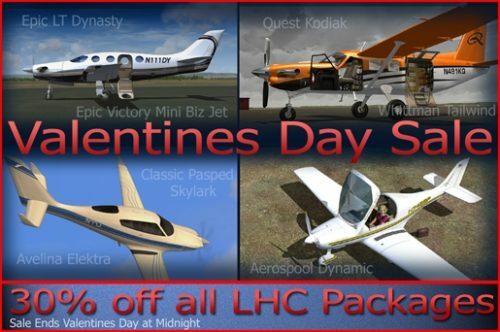 Lionheart Creations is offering 30% off on all aircraft during the Valentine's Day Sale. Valid through February 14th 2012. The freeware Mil Helicopters Mi-8MT for FS2004 is now available to download at AVSIMrus. The freeware Ayers Rock Airport (YAYE) V3.0 for Orbx FTX Australia is now available to download at OZx. 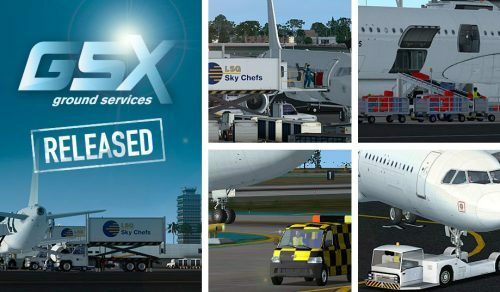 FSDreamTeam (FSDT) has released version 1.1 of Ground Services X for FSX. Available at the Product Page. - The maximum Marshaller distance, to fix problems of Marshallers behind walls at some parkings. - The Pushback preference, to override the one found in the AFCAD. Gary Summons has released demo versions of UK2000 East Midlands Airport (EGNX) for FSX and FS2004 at AVSIM. The SkyDemon VFR Flight Planner is now also available for the iPad. More information at the Product Page. The freeware vLSO (Virtual Landing Signal Officer) for FSX Acceleration Pack has been updated to version 0.4 Beta. Sim Giants is offering 60% off an all products during the Crazy February Sale. Valid through February 29th 2012. Drzewiecki Design is offering 30% off on all products during the Valentine's Day Sale. February 10th - 14th 2012. Aerosoft has released Friedrichshafen Airport (EDNY) for FSX and FS2004. Available at the Aerosoft Shop and SimMarket. The freeware Luxor International Airport (HELX) for X-Plane 9 & X-Plane 10 is now available to download at X-Plane.org. Most difficult landing in the world - Bhutan? Virtavia has released this cockpit preview video from the upcoming General Dynamics F-111 Aardvark for FSX. Bohemia Interactive has announced the upcoming Mil Mi-24 Hind DLC for Take On Helicopters. Skysoft Simulation has released Lhasa Gonggar Airport (ZULS) for FS2004. Now available to purchase at SimMarket. Pacific Islands Simulation has posted new preview pictures from the upcoming Puerto Vallarta (MMPR) scenery for FSX. Navigraph NAVData AIRAC Cycle 1202 is now available. Purchase Credit Packs at Navigraph or SimMarket. The Seattle Times has published this Microsoft Flight Q&A interview with Executive Producer Joshua Howard. McPhat Studios has posted more information and previews from the upcoming Coolsky Douglas DC-9 for FSX. Eaglesoft Development Group is offering 10% off with use of the Presidents Day Sale Coupon. Expires Feb 29th 2012. FlyJSim has posted the first work-in-progress instrument panel render from the upcoming Boeing 727 Series for X-Plane. Drzewiecki Design has posted more teaser screenshots from the Miami scenery project currently under development. Aerosoft has posted the first preview pictures from the upcoming Heraklion International Airport (LGIR) for FSX. Aerosoft is holding the -20% Ice Age Sale on select items. Offer ends Monday, February 13th 2012. The freeware Charleville-Mézières Aerodrome (LFQV) for X-Plane is now available to download at the XPFR Website. Mark Aldridge has released version 5.3 of the freeware Frankfurt am Main Airport (EDDF) for FSX at AVSIM. X-Plane Flight School has added the lesson X-IFR 9 - VOR/DME & NDB Approaches in the X-Plane.org Forums. The Avroliner Project has now released the British Aerospace Avro RJ70 for both X-Plane 9 and X-Plane 10. - Fully animated 3D nose and main gear with realistic kinematic. - Wingtip vortices trail from the wing flaps of aircraft. QualityWings has posted more 2D cockpit panel previews from the upcoming BAe146/Avro RJ for FSX and FS2004. Turbine Sound Studios (TSS) posted another preview video from the upcoming Bombardier Dash 8 HD Sound Package. Commercial Level Simulations (CLS) has posted several teaser screenshots from the upcoming BAe 146 for FSX. Carenado has revealed the first preview screenshots from the upcoming Cirrus SR22 GTSx for FSX. Aerosoft has posted final preview screenshots from the soon to be released Frankfurt-Hahn Airport (EDFH). Sonic Solutions has released the Bell UH-1 Huey Sound Pack for FSX. Now available to purchase at SimMarket. Dino Cattaneo has posted a progress update on the Lockheed Martin F-35A project currently under development. Virtavia has released several older AlphaSim titles as freeware. Available to download at the Virtavia Freeware Site. The RAZBAM North American T-2 Buckeye for FSX is now also available to purchase at SimMarket. 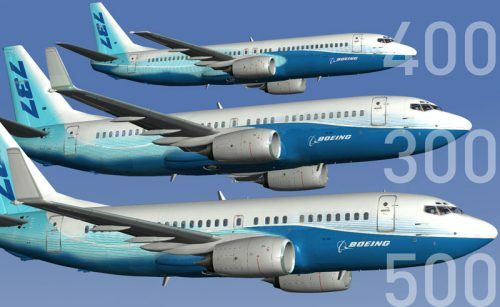 Robert S. Randazzo from PMDG has posted an update on the 737NGX Service Pack 1c, X-Plane and other developments. Oryx Simulation Software Eindhoven Airport (EHEH) for FSX is now available to pre-order at the Oryx Store.